What is Applied Spinal Biomechanical Engineering? isometric exercises to correct that. If you're right-handed, you'll be using that hand dominantly for your whole life. You'll probably also tend to do other things with the right side of your body, such as throw a bowling ball, kick a soccer ball, wave at your friends, or cross your leg when sitting. 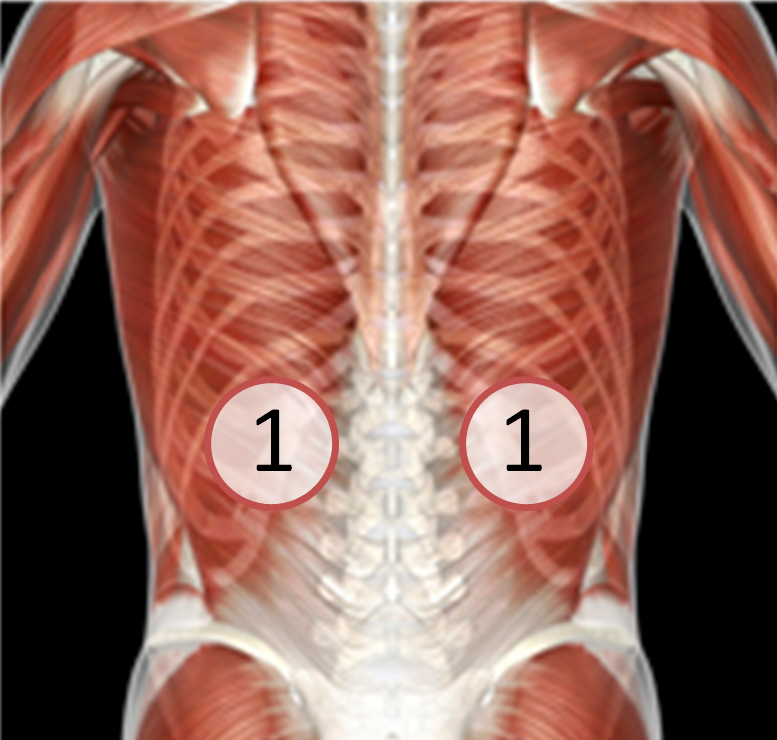 The cumulative effect of this (common) one-sided favoring can be an imbalance of your back musculature which directly affects the alignment of your vertebrae. Until you correct this imbalance, you will have recurrent back problems.This may be a reason that some people feel no difference even after many spinal adjustments.The combination of adjustments and individualized maneuvers allows Dr. Moleski to get to the root of a chronic back problem and help eliminate that. 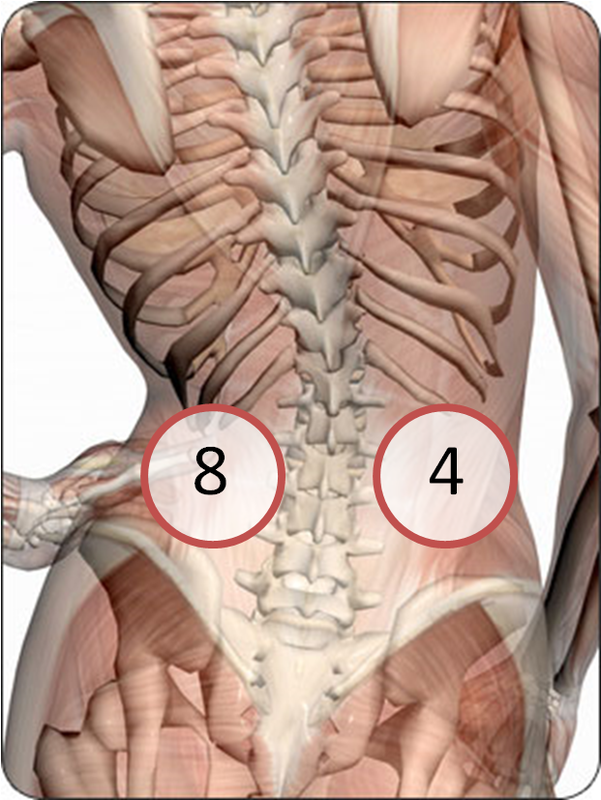 There are small, deep, intrinsic muscles which hold your spinal bones in place and control their movement. 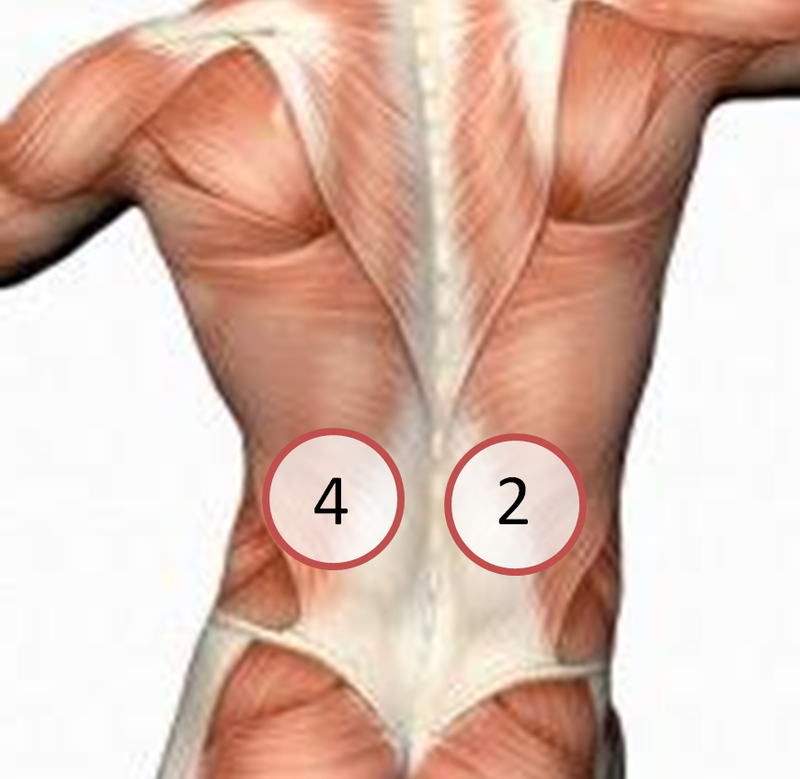 If they are pulling disproportionately on one side, the effect can lead to improper motion and a lack of stability, which typically results in chronic back pain. This is due to the presence of subluxations in the spine. Click here to learn more about this common problem and the possible consequences, as well as how to help correct and prevent it from happening. ASBE maneuvers strengthen the body to hold the spinal bones in their proper places and prevent serious injury and recurring pain. The chart below describes how the specific maneuvers mentioned earlier can help prevent the increase of unequal stress on the spinal bones due to imbalanced paraspinal muscles. Some people have a 2:1 imbalance, but others have up to a 5:1. It is imperative for overall health and injury prevention to be evaluated for an imbalance and to determine what the severity is if an imbalance is present. 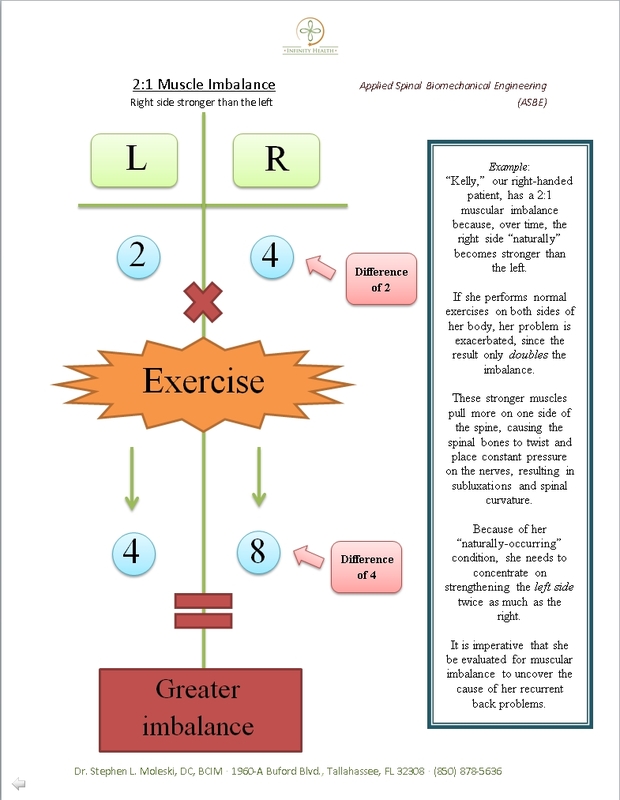 The lack of equality in muscle strength shown above can lead to chronic subluxations, joint weakness, hypermobility, and potentially serious injuries - especially if you are weight training. Be aware of your bodys tendencies and needs, and work with it to gain health through uninterrupted nerve flow and proper harmony in the bodys structural, neurological, and emotional systems. Ask Dr. Moleski about ASBE at your next appointment!